In order to meet with the increasing demand for conservation mixtures, we have formulated twelve mixtures, each designed to recreate a particular habitat. The wildflower used in the Wild Flora range are guaranteed to be of native UK orgin. DLF Seeds & Science has in-house production facilities allowing us to further improve seed quality. Our experienced team is avaliable to provide advice on mixture selection and site management. For larger projects site visits followed by a written report are avaliable. DLF Seeds & Science has many years experience in the contract production of wild flower seed and plants. This is particularly useful where extremely large quantities or unusal/rare species are required. Whilst our standard mixtures will cater for most situations we are always pleased to advise upon and produce mixtures to your own specification. Intense colourful flower experiences are the idea behind our Colour Boost Range. The Exciting new range of mixtures have been designed to create enhanced, attractive amenity spaces. Also providing an essential food source and habitat for many species of animals and invertebrates, especially pollenating insects. The Colour Boost range of mixtures all have a specific use depending on site and required longevity of the sowing. 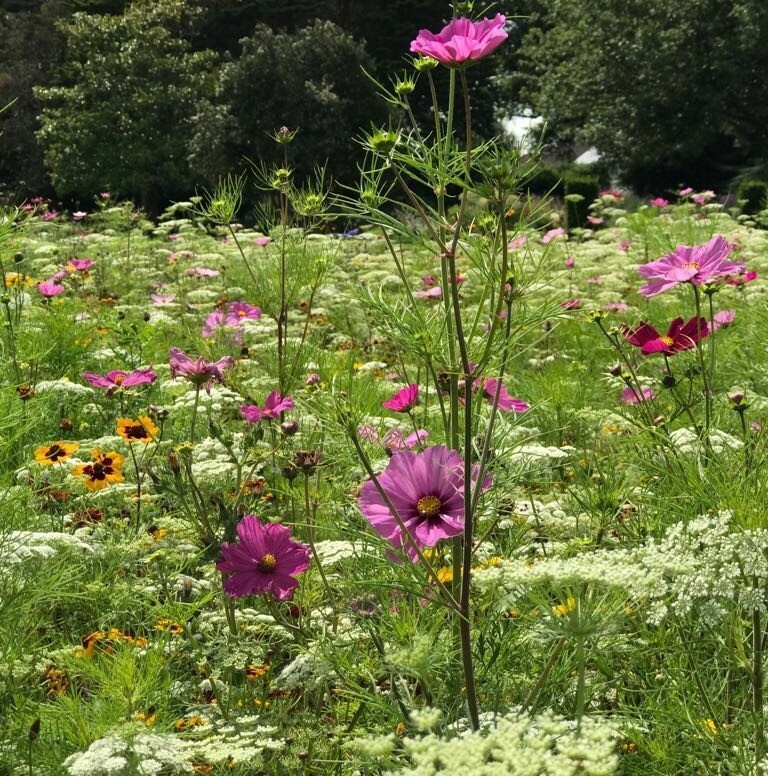 With increasing pressure on local authority and golf course budgets, coupled with demands to reduce emissions generated by repeated maintenance operations and the desire to improve and create habitats, sowing a Colour Boost mixture is the natural choice. Sowing a Colour Boost mixture brings many cost savings for the commercial user compared to more traditional bedding schemes. The mixtures are sown directly onto the final recipient site, requiring little irrigation, fertiliser/chemical application or maintenance throughout the season. This provides a substantial saving over the production, installation and maintenance costs of a traditional bedding scheme. 100% Flower seed mixtures are notoriously difficult to sow when applying at just a few grams per m2. To ensure even sowing and correct application rates we suggest using our Rehofix MK1500 corn skin granule as a carrier – natural, biodegradable, easier, and a lot cheaper than running out of an expensive seed mix half way through the project. There is no set application rate for this, as every end users machine and expertise is different, but we would suggest a ratio of 1 part seed 5 parts Rehofix . Sowing rate for all Colour Boost mixtures 3-5g/m2.